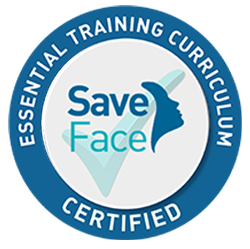 Our Clinician Brian McCleary has been trained in non-surgical facial rejuvenation, exclusively, at the Dr Bob Khanna Training Institute. Bob Khanna is a leading, international, Professor of Facial Aesthetics, who has pioneered many of the techniques in the art of ‘Total Facial Sculpting’ at the Institute. With a view to updating and furthering his skills, Brian has learned the technique of creating the heart-shaped lips: ‘Heart Lips tm ‘, associated with some of the world’s most beautiful women. Brian is an accomplished figurative sculptor, having exhibited his sculptures at The Royal Ulster Academy in Belfast, The Royal Hibernian Academy in Dublin, and as far afield as New Zealand. He has received commissions from institutions as diverse as The Salvation Army, to German industrialists. He feels that his three- dimensional artistic ability perfectly compliments his role in facial aesthetics. Brian is a member of the International Academy of Dental Facial Aesthetics (IAAFA). In addition Brian holds the Diploma in Conscious Sedation and is a member of the British Society of Clinical and Academic Hypnotherapy. He has a special interest in the treatment of the anxious patient. After initial reservations about having botox in the first instance, I am beyond THRILLED with the results. Brian was very knowledgeable and takes great pride in his work… Id never go consider going to anyone else now! Brian is excellent at what he does. He is very knowledgeable at what he does and spends time with each patient to ensure the perfect result! Highly professional and bespoke service provided as always. Brian is extremely accomplished at what he does. Would thoroughly recommend without hesitation. excellent service and aftercare, Brian is one of the most knowledgeable clinicians i have come across would not go any where else now. More brilliant results from Brian. Very professional but friendly service, makes you feel comfortable. I received wrinkle reducing treatment from Brian a few weeks ago and I am very pleased with the results. After previously having the same treatment at a different practice, I found Brian to be very professional and feel like i received a far superior service. Brian went through every aspect of the treatment and i felt reassured. I will not go anywhere else. I have recently qualified to carry out wrinkle reducing injections. It became clear that experience in this field is invaluable. Brian has spent a lot of time working with me and mentoring me with his wealth of knowledge and experience in this area. The patients that we treated were so happy with the treatment they received and I feel very privileged to have worked with Brian and now feel very comfortable and happy with the confidence and skills he has given me to provide treatment in my own place of work. Thank you Brian. Brian is the ultimate professional. His knowledge in this industry is second to none. I am always delighted with the results. He’s also a genuinely nice guy! Couldn’t reccommend Brian enough, ever since I was young I’ve had a huge self confidence issue with my nose. I had liquid rhinoplasty with Brian & he took his time & went through all of my issue points and carried out treatment with care & prescion. With subtle changes, my nose still looks natural & now I finally feel confident again. Thank you Brian! ‘Just need to let you know that the result (as ever) is brilliant. There’s nothing artificial about the result…I just look fresher and younger and healthier. Thank you Brian, see you in a few months! First class treatment. The juvapen was brilliant. 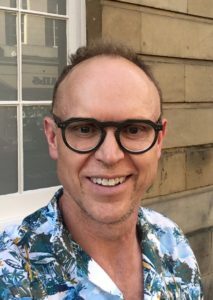 Brian is a great practitioner who educated me thoroughly on the enhancement process and made me feel safe and confident going ahead with my aesthetic treatment, 5* service. Everything above and so much more could be said!! Brian is first class from start to finish of your treatment. I have now been having treatment with Brian botox/fillers since 2016 and would highly recommend him. I will always have Brian as my clinician. Highly recommend Brian. He is knowledgeable and enthusiastic about the treatments he provides. Makes you feel relaxed and comfortable and explains thoroughly. I have always been very happy with my results. I visited Brian today for wrinkle relaxing injections. He is incredibly knowledgeable and explains every step of what he is going to do and why. He is also very clear about the results you should expect from the treatment. I have had wrinkle relaxing elsewhere in the past but will not be going anywhere else from now on. great presentation before Brian did anything. Gave all the info I needed. V professional. Painless treatment…he uses a Juvapen which is brilliant! Never had treatment like it! I wouldn’t visit anyone else for my Botox. Brian is first class he is polite, courteous and caring. Nothing is too much trouble for him he always takes the time to listen and gives a open and honest opinion as to what is best, which I fully appreciate. Excellent service, faultless. Look no further. Absolute brilliant treatment from Brian, very informative, caring did a brilliant procedure will be going back in the New Year . Brilliant treatment again from Brian, leaving my face looking fresh and natural again, I’d recommend Brian to anyone. Brian takes his time with each patient in a relaxed manor, it’s clear to see he really cares about the outcome of each treatment given. So precise and easy going. Very very pleased with my results one week later. Great service. Good results. Gentle, informative and reassuring. First time having any non surgical procedure, I have a great fear of needles so was guided through the whole process and made to feel at complete ease. I am super happy with the results and plan to introduce my 2 good friends to Brian as he really is superb. Brain is great at what he does, felt relaxed & confident in his care, he’s knowledgeable & passionate about the treatment. Great results. amazing experience as always!! brian is really the best and takes time in making sure everything is perfect! Can’t recommend Brian enough. He’s managed to give me back a youthful appearance while still looking natural. He’s so friendly and puts you at ease straight away, wouldn’t go to anyone else for this procedure. The treatment I recieved softened the frown lines on my forehead really well. It was subtle and effective. Brian put me at ease with his manner. Would absolutely recommend. Brian worked wonders with filler in my lips, he helped me gain confidence in myself again. Very competent service. Clear, friendly advice, met all my expectations. Lovely, friendly staff – nothing is too much trouble. Brian fills you with confidence and makes you feel at ease. Great care and time taken. I would absolutely recommend Brian. He is passionate about facial aesthetics and the results are phenomenal. He ensures that the whole process is transparent and you leave feeling completely informed and satisfied with the service. I have had botox with Brian 3 times now and I would not see anyone else. He ensures that he creates a natural yet youthful look every time. Fantastic practitioner, really cares for his patients and enthusiastic about the treatments he offers. Wouldn’t go anywhere else, first class service. I got my lips enhanced off Brian and he done a brilliant job. Brian made sure he explained every thing he was doing and ensured I especially was happy during the process and with the outcome. My lips looked naturally enhanced which is what I wanted and got. Would highly recommend! I have been seeing Brian for the last 3 years and had various treatments. These have ranged from lip fillers done using the cannulation technique and botox. Every time I have been thoroughly impressed with my results. Very natural results and a lovely look of freshness brought back to my face now that I am in my fifties. You are put at immediate peace as all procedures are explained to you and any of your concerns addressed before treatment is done. To say he is the best is an understatement!! I would recommend Brian to anyone as I have complete faith in all he does. I have had botox with Brian for a few years now and I am so happy with the results. I am so much more confident with the appearance of my forehead and around my eyes. He is very gentle and brilliant with the injections. I love the way that over time you actually need less botox, he is very honest if it is too soon to repeat. I would recommend Brian to anyone thinking about any facial aesthetic treatments. I have always been very happy with results of treatment and he puts you at ease throughout treatment and afterwards. In my opinion Brian is the best in this business. I have visited him several times now for anti wrinkle treatment having previously been else where . I have complete trust and faith in him, he is always honest about the areas needing focusing on, which I totally appreciate. I have had fantastic results everytime and pain free. From arriving to leaving Brian puts you at ease with a warm welcome. First class clinician. Careful explanation of procedure and after care. Highly bespoke and meticulous in approach. A faultless experience with amazing results. Would recommend without reservation.